Owner Dan Perkins opened his construction business in 1986. Working and living in Marquette County, Dan discovered the real challenge that contractors face with roofs in the harsh Upper Michigan climate: ice buildup and the subsequent leakage, excessive snow, and extreme cold. It didn’t take long for Dan to realize that the answer to the ice and snow problems is metal! 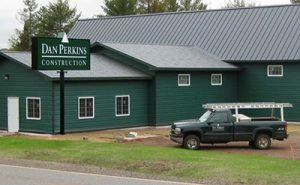 Since then, Dan Perkins Construction has installed over 1000 metal roofs in Upper Michigan. Metal roofing adds an attractive, colorful element to your home while providing the best snow-sliding, leak-proof, longest lasting cover possible. Visit ourPhoto Galleries to see the endless design possibilities for residential and commercial use. Factoring in life expectancy, metal roofs can cost a fraction of the expense of asphalt shingles. We’ll help you answer the most important question, Why Metal?. Call Dan Perkins to crown your house with the roof that will last the rest of your life! To complement our metal roofs, Dan Perkins Construction has introduced seamless steel siding and solar metal roofing products to their services offered. Dan Perkins, owner and founder of Dan Perkins Construction, Inc. has spend his career striving to be at the forefront of the latest roofing technology. 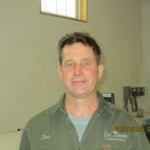 His knowledge and expertise in the industry is phenomenal and he has built his company based around quality. Dan’s primary role’s in the day-to-day operation’s of the company include; Commercial sales, quality control and training, supplier management and logistics as well as overall management of both production and sales. Dan’s goal is to make sure that his company is always providing the latest technology in roofing materials to the customer at an affordable price in a safe manner.